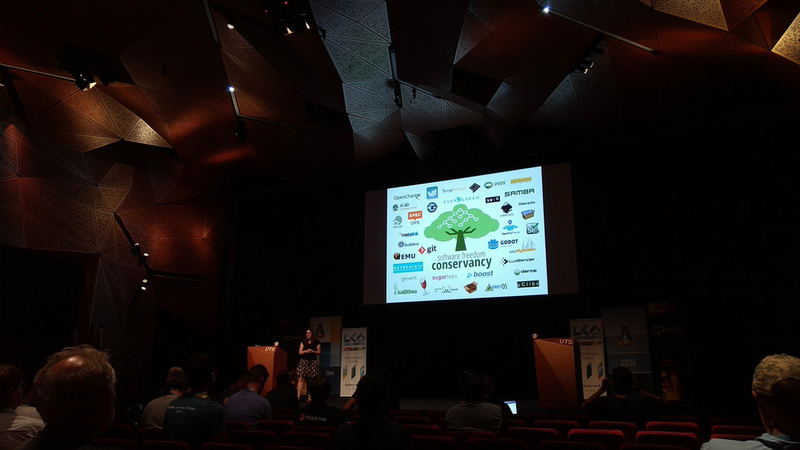 On Wednesday, January 24th, I had the pleasure of hearing Karen Sandler, the Executive Director of the Software Freedom Conservancy, give the keynote at Linux.conf.au (LCA). Video here: Keynote: Six Years Later, or Hey, did you ever get the source code to that thing in your heart? She presented a strong message around software freedom as she talked about her work since her first LCA keynote six years earlier where she talked about the pacemaker she has which runs proprietary software. I enjoy Karen’s talks because she always weaves a story for the audience, and in this talk part of that story was how important LCA had been in her life and career. It’s something that resonated with me. LCA is one my favorite conferences in the world. Each year it’s handed off to a new team in a revolving series of cities throughout the country and they manage to pull off a conference that maintains a similar feel and consistently high quality talks. 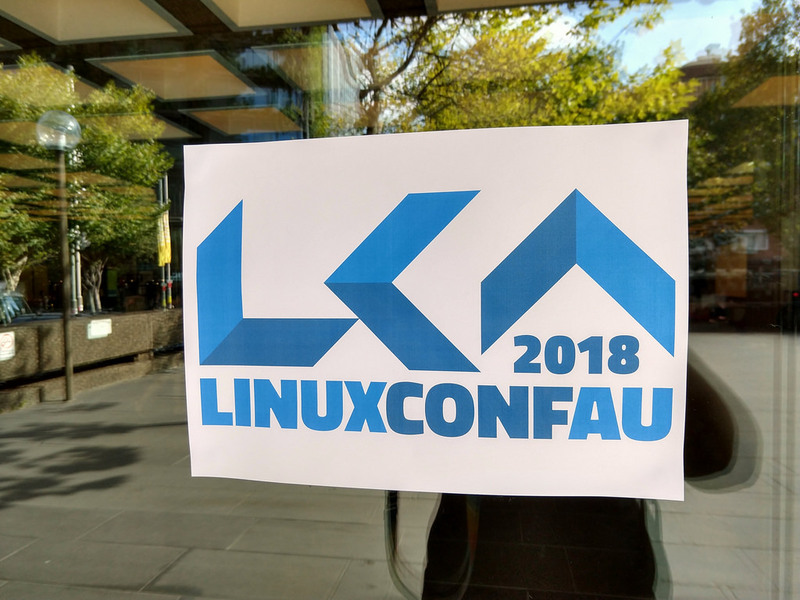 I’m sure the volunteer nature of this conference helps, with so much money being poured into open source software these days I’ve seen many open source conferences change over the years, but LCA has remained the grassroots conference that I fell in love with during my first LCA in Perth five years ago. The attendees are amazing too. 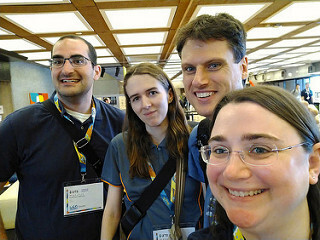 They’re passionate about open source and technology, and it’s often the one conference each year where I get to see all my Australian friends and colleagues. This year they went even further to demonstrate their commitment by attending a conference even on Friday, which was a national holiday. The keynotes this year made for a nice framing of the conference. On Tuesday we heard from Matthew Todd, who has a PhD in organic chemistry and, along with teaching and doing research at the University of Sydney, he leads Open Source Malaria (OSM), which is bringing scientists together in a way similar to the open development of software to collaborate openly on a cure for malaria. Back in September at the Open Source Summit North America I saw a keynote similar to this around open collaboration related to media production, but OSM takes this further by not only using the methodologies, but also some of the tooling. This has included collaboration on GitHub where they are learning to use Issues and Wikis to track and share their work. The open nature of our work is something I really believe in, so it’s always thrilling to see our collaboration methods being shared beyond just software communities. On Thursday we heard from long time Linux Australia participant Hugh Blemings who reflected on past LCA events, discussed some of the history and state of open source in Australia, involvement in open source for work and fun, and more. Video from Hugh’s talk is here: Keynote: Wandering through the Commons. The final keynote was on Friday from Jess Frazelle of Microsoft who took the audience on a tour of containers, from basic definition of what a container is, to limitations including around security and much more. Jonathan Corbet of LWN did a great write-up on it here and the video is available at Keynote: Containers aka crazy user space fun. 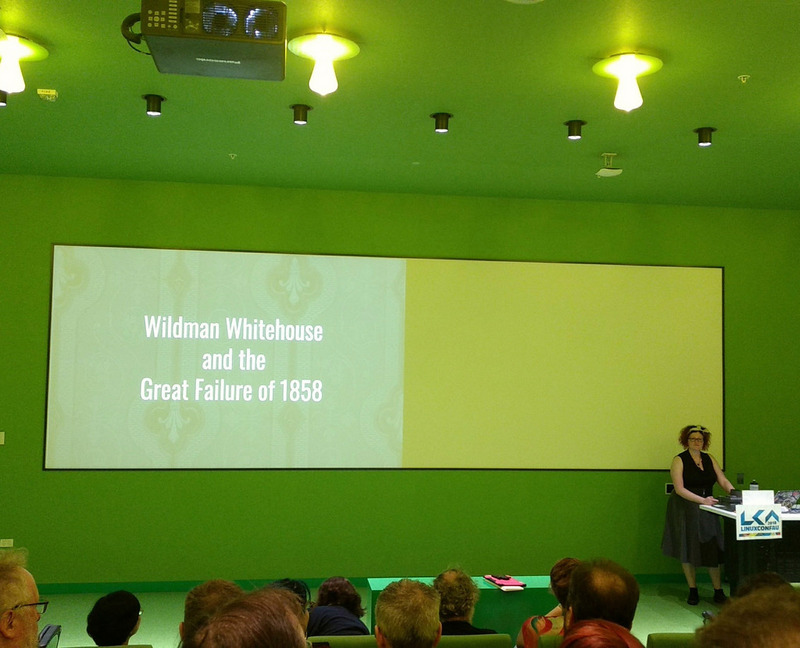 I gave two talks at the conference this year. The first was at the Sysadmin Miniconf on Tuesday, brilliantly brought together each year by Simon Lyall. I joined them to talk about Day 2 Operations with Containers: Myth vs. Reality. In this talk I present a series of four “myths” around container orchestration maintenance and then debunk them by discussing things like the need for traditional tooling like log servers, alerting systems and backups. I enjoy giving this talk because it takes a lot of concepts that are very familiar with an operations-focused crowd and reframes them in this new space. No need to worry, your decade(s) of systems administration knowledge does not become irrelevant when you move to containers, and your work is still needed! Video here: Day 2 Operations with Containers: Myth vs. Reality and slides (PDF). 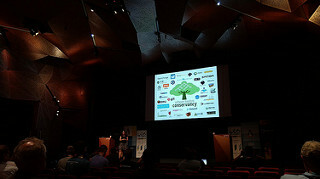 The second talk I gave was during the main conference on Wednesday on The Open Sourcing of Infrastructure. This talk has evolved a lot since I first gave it at a DevOps Days last year, the history remains intact but the future outlook has changed to increasingly focus on the topic of hybrid clouds as a strategy to dodge vendor lock-in. Video here: The Open Sourcing of Infrastructure and slides (PDF). The container trend in the miniconf continued with talks following mine by Nick Young and Alistair Chapman whose talks centered around Kubernetes and Docker, respectively. The rest of the week was spent attending talks by other people, and a fair amount of hallway track as I spent time catching up with people (and meeting new ones!). 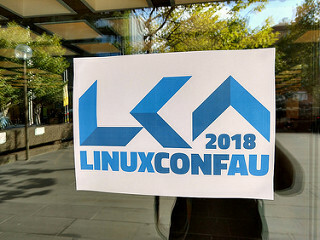 This was my second year at LCA in my role as a Developer Advocate over at Mesosphere, but last year I’d only been in the role for just over a week, so it was nice to be able to spend time chatting with folks now that I’m fully up to speed with Apache Mesos, DC/OS and the latest innovations in the container space in general. Beyond what I was there to do for work, there were a few really fun talks that stood out for me. Paul Fenwick gave a talk on “Changing the world through (fan-)fiction” where he took us on a journey through the world of fan fiction authors. He began by talking about how fan fiction allows authors to explore new ideas through writing without having to build a world and characters of their own, and spoke to the power that this gives to these independent authors. He then explained that they navigate a surprisingly technical space with all the work they do, creating videos, putting together websites and more to promote their work. This means that, since most fan fiction authors are women, we suddenly have a great pipeline filled with women who have technical skills, even if they don’t realize it yet. We should help them realize it! Video: Changing the world through (fan-)fiction. 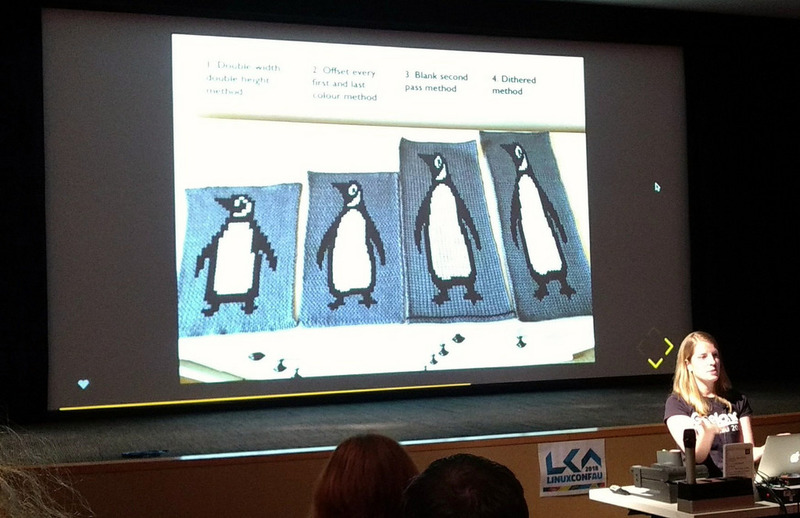 There was a talk by Sarah Spencer on “The Knitting Printer” where she showed off how she hacked a consumer knitting machine from the 1980s so it would be able to print the designs she wanted in a mostly automatic way, including the ability to use multiple colors of yarn in the pieces. I learned how to knit over a decade ago, but I haven’t kept this up and the talk didn’t inspire me to get my own machine, but it is fascinating to see the intersection of machines like this and computers. It’s also always inspiring to see people put together cool hacking projects that are open source, which she succeeded beautifully at! Bonus: Penguin knits. 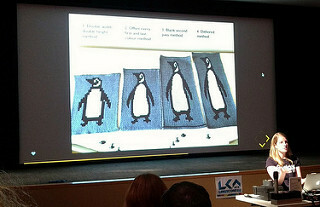 Video here: The Knitting Printer. In a similar DYI vein, my friend and former colleague on OpenStack and at HPE Matt Treinish did a talk on “Building a Better Thermostat” where he walked us through how he used open source tooling to build a thermostat to regulate the very primitive air conditioning in his New York apartment. The talk gets into really gnarly and unexpected issues, like power considerations, air conditioner coil cycles and the need to turn up the volume on the TV when the air conditioning unit is on. Geekery aside, I think what was really interesting for me to learn was how active the Home Assistant community is. At every turn in his talk he’d mention another component, his patches, and patches that built upon his. The “thermostat” software he used was originally a heat control, but his work on adding opposite support has turned it into the Generic Thermostat. Fun stuff! Video: Building a Better Thermostat. Finally, I had lots of yummy food during the conference. 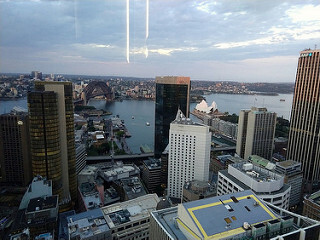 The speaker dinner was held at O Bar and Dining, a revolving restaurant on the 47th floor that offered some great views of the city. The conference venue itself was near Chinatown, so that meant I was able to snag delicious Asian food all week, including a couple stops to get sushi. The Chambers Coffee shop that we discovered nearby was also a treat, their iced coffee drinks were top notch, and needed as I was jet lagged and hot the whole trip. Ah, Australia in the summer. We were treated by a series of lightning talks at the conclusion of the conference. These are always fun and there were some real gems in the mix this year. Video: Lightning talks. It was then announced that the event next year will be held in Christchurch, New Zealand! I missed the last one in New Zealand, so I really hope I have the opportunity to go to this one in 2019. As always, it’s incredibly sad to pull myself away from LCA as my trip came to an end. Huge thanks to the conference organizers and volunteers for pulling off another great conference. 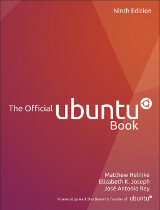 This entry was posted on Friday, February 2nd, 2018 at 12:10 pm and is filed under events, tech, travel. You can follow any responses to this entry through the RSS 2.0 feed. Both comments and pings are currently closed. Entries (RSS) and Comments (RSS). 21 queries. 0.202 seconds.